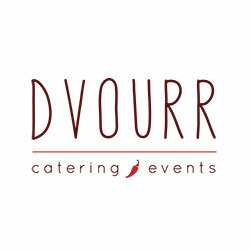 Dvourr is a family owned catering company ran by Chef Camille Mayers and a handful of her siblings who share her passion for food. Dvourr is well known for putting a southern/Caribbean spin on classics with a kick with items like cornbread topped with buttermilk fried chicken or jerk pork or delicious authentic and not-so-authentic corn tacos. Dvourr specializes but is not limited to: Caribbean, Soul Food, and Italian Cuisine.